Do you feel sad and lethargic for no reason? Do you have a hard time getting out of bed in the morning wondering how you will make it through the day? If you feel like you can’t express who you are, or that negativity from your past is pulling you down, you may be feeling depressed. Counseling can help you get relief from depression and stop yourself from falling into a pit of despair and hopelessness. You can get the support and skills you need to stop the pattern of self-defeating negative thinking so you can feel better. 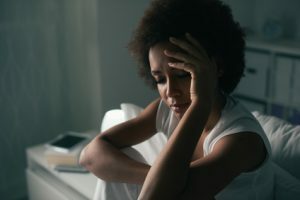 If you feel like you are caught in a rut and you lack motivation, chances are you are also not functioning in many areas of your life. Counseling can be highly beneficial in helping you regain control of your life again. I am here to help. In counseling, you can learn to manage your thoughts and feelings, alleviating your depression. As you begin to feel better, you will be able to sleep well again, develop healthy eating habits, and engage in healthy relationships. I will show you practical skills and techniques that will enable you to manage overwhelming feelings, bringing joy and happiness back into your life. Together, I can work with you to set goals and assist you in creating a plan to reach your success. You can start to make substantial changes in your life that will bring a new richness into your life. I am focused on helping you experience long-lasting, tangible results, so that you can start loving life again. There is hope! You can feel relief from depression. To get started, call now, or just fill out the form and click Send. Contact me to order your copy of my book! 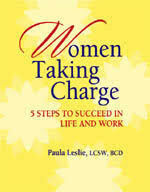 Paula Leslie is a Psychotherapist, Coach, and Hypnotherapist in Palo Alto, California. Call today or Contact Paula to schedule an appointment.